It thus changes their lazy attitude of mundane life; his very visual image certainly would not allow even a bit of slackness. It also grants infinite spiritual peace and harmony. In fact, those objects commonly noticeable in daily life seem to be somewhat defamiliarised. It would cause confusion due to the lack of order or regulation, yet they cannot recognize its chaos by force of habit. 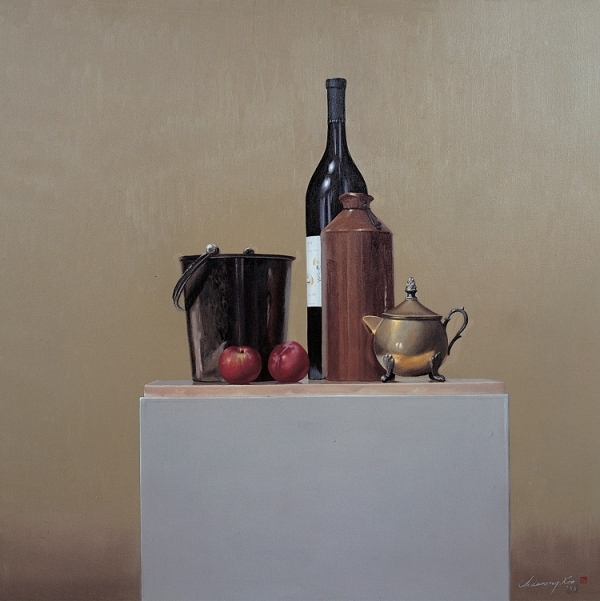 Koo’s paintings have been arranged for the people who are well accustomed such a habit. They appear as a symbol of moderation and order. The very typification of his paintings would be an ordered emblem, well balanced and arranged. 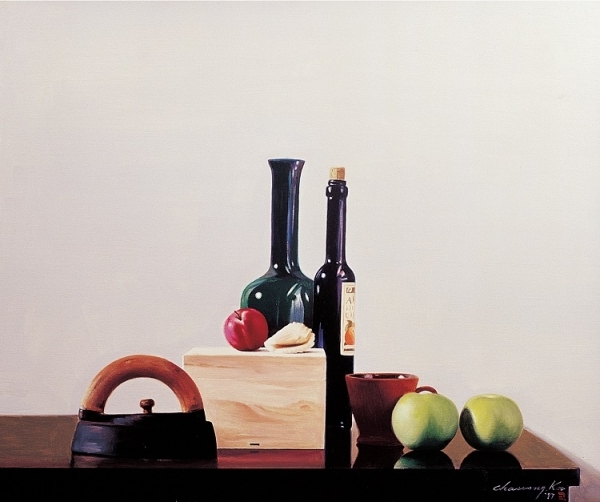 Therefore, it would be a natural that the viewer cannot help but be touched a thought of reverence and be purified by facing his(ARTIST KOO CHA SOONG,具滋勝,서양화가 구자승,구자승 작가,구자승 화백,KOO CHA SOONG) artwork. The motifs seems to be placed in a straight line while the viewer sees on the sides. It indicates that they stands in line. They are also generally located at the center or under the far below. It results that the picture earns a wider blank on the top of the painting.